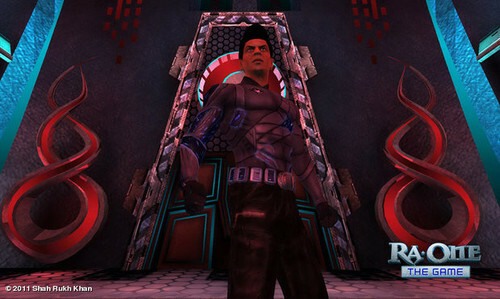 Forming the first ever association between PlayStation and Bollywood , 'RA.One-The Game' was launched by Sony PlayStation. The game will cost Rs 499 for PlayStation2 CD and Rs 999 for a PlayStation3 CD. And, the console is priced at Rs 5,999. As per the information revealed by Sony PlayStation, PlayStation 2 is meant for the Indian market while PlayStation3 will serve the international market. The video game version of the movie will be called RA.ONE – The Game and it has been developed exclusively on key PlayStation platforms of PS2 and PS3 (through PSN download). This game will certainly be tagged with a string of firsts as it will be the first full cycle BluRay PS3 game developed with an Indian developer; the first console game to be dubbed by a leading Bollywood actor and also the very first Bollywood title to appear as a full cycle PlayStation game. Red Chillies Entertainment and Sony Computer Entertainment, Europe, both worked in collaboration to develop this unique and interesting game.